It's brunch, Santa Monica! Did someone say brunch time? A weekend favorite in Santa Monica, restaurants and bars throughout the city offer up unique and delicious brunch specials - from Mexican-themed dishes to your classic pancakes, bacon and eggs. Explore the variety of dining and drinking options at Santa Monica brunch spots available to you, along with restaurants widely known for their tasty breakfast menus. 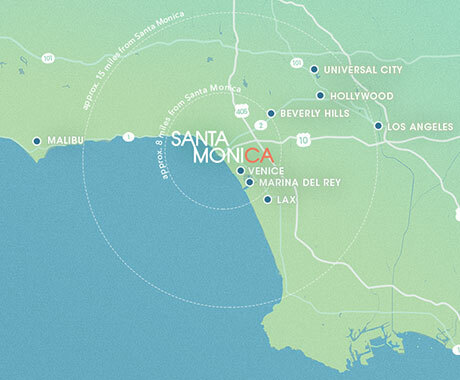 Are you a restaurant with the best brunch in Santa Monica and you'd like to share your details? Submit your brunch specials here. Specialty brunch menu. Also available is a Lobster brunch for $55 per person. Bottomless mimosas for $15 with purchase of entrée. Alfresco dining, signature breakfast items and specialty offerings. Specialty brunch menu available along with smoothies, afternoon pick-me-ups and juices. Specialty brunch menu available, as well as Build-Your-Own Bloody Marys, Mimosas and more carafe cocktails. All you can eat buffet including champagne: $17.99 for adults & $6.99 for kids under 12. Prices may vary on major holidays. $40 includes any brunch entrée with an endless pint of draft beer. Plus special brunch cocktails. Brunch, Buckets of Beer and Build-Your-Own-Bloody-Marys. 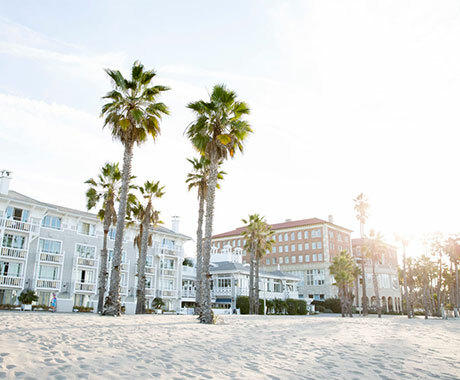 California-inspired coastal cuisine, bottomless mimosas, sweets, oysters and more. Bottomless champagne, mimosa, or the #1 selling Famous Mary served with a JFAT Blonde chaser. Signature dishes include Buttermilk Fried Chicken and Malt Waffles, BBQ Pulled Pork Benedict, Grilled Breakfast Flatbread with Ham, Fontina and more. $19 bottomless aperol spritz and menu highlights including brioche french toasts, omelette caprese and bucatini amatriciana. Specialty brunch menu & $5 mimosa, Bloody Mary, Irish coffee & Dublin lemonade. Brunch buffet & unlimited champagne or draft beer. $35 includes brunch entrée & endless champagne cocktails. Specialty brunch menu available on Saturdays and two-course brunch on Sundays for $34 per person. Specialty brunch menu including appetizers and entrees.